Bridge Fish and Chips of Templecombe have been serving traditional fish and chips in the Somerset village for more than 25 years! We have lived and worked in this 300 year old building for more than two decades making traditional, English fish and chips in our family run business. Our fish and chips are freshly prepared on the premises. Come and try one of our fillets of cod, lightly battered, deep fried in pure vegetable oil at just the right temperature as not to absorb too much oil, guaranteed to be free of bones and without skin. Served with a generous portion of freshly chipped potatoes fried golden brown to satisfy even the healthiest of appetites. 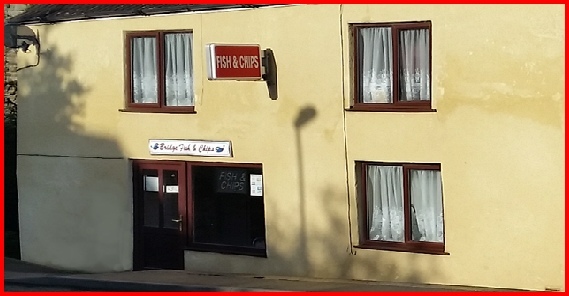 Bridge fish and chip shop is located on the main road A357 in Templecombe between Wincanton and Henstridge.